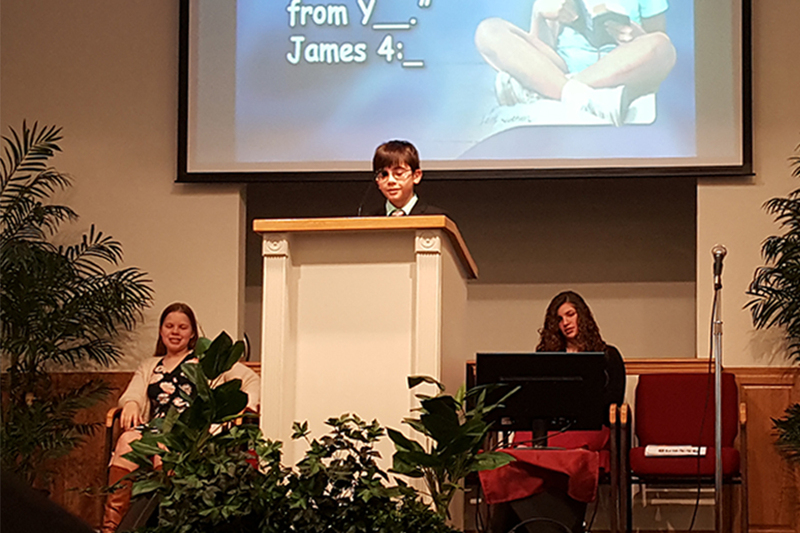 Feb. 2: A Sedalia SDA School student shares Scripture with his church family as part of a special church service led entirely by students. Each student played a part, and upper grade students gave the sermon from a Share Him series. 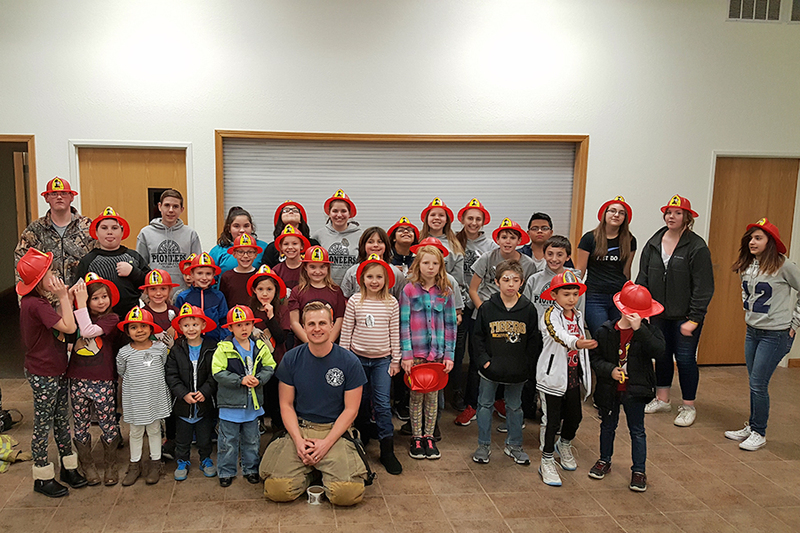 February: The Sedalia Church Pathfinder and Adventurer clubs learn about fire safety from local fireman Alex Tsurtan. They learned all about what firefighters do and practiced fire drills. Mar. 16: Pathfinders from the Sedalia Church lead out in a special church and dedication service. 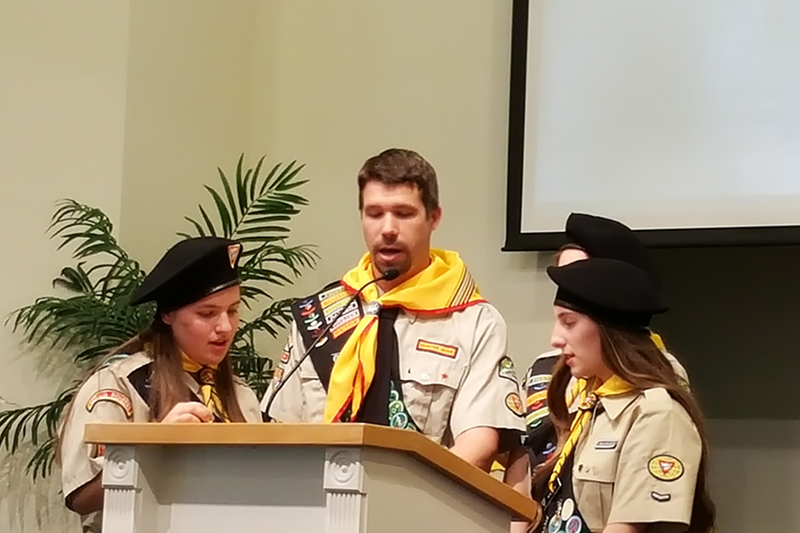 Young people from the Pathfinder and Adventurer clubs each played a part, and the ceremony ended with Pastor Seth Coridan offering a prayer of dedication over each young person for safety, missions, and guidance as they walk with the Lord. 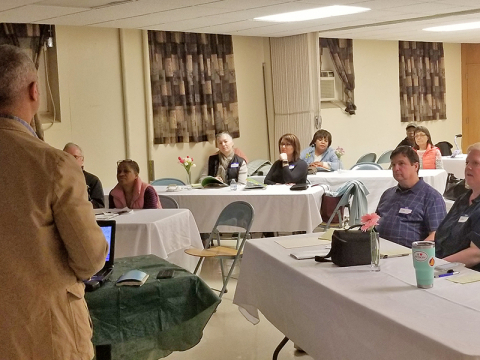 Young people at the Sedalia Church are getting more involved in 2019, both in church life and in the community. 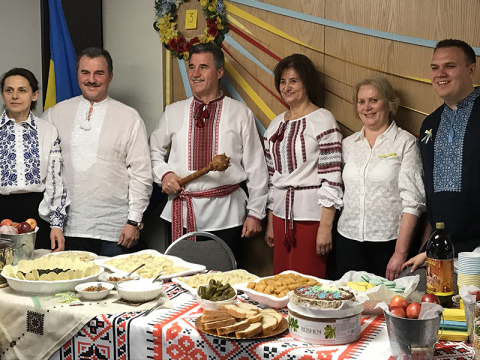 Click through the photos above for just a brief summary of what these active young people are doing. 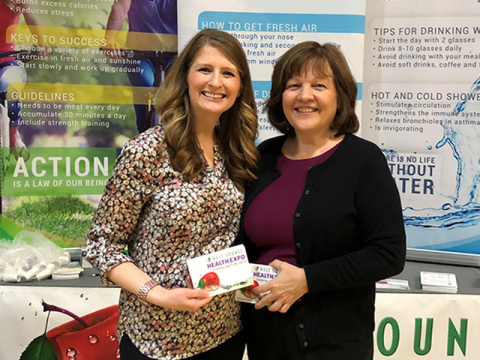 Christine Armantrout is a Sedalia parent.